End of Year Housekeeping: We Want Your Feedback! It’s been a year since we started this blog and we hope you have enjoyed reading it as much as we have enjoyed writing it. It’s been a labor of love, library runs and book acquisitions this past year. Also, a learning process for us, as we try to build an audience and make a space on the internet for ourselves and our love for reading. We want to always check in with you guys to make sure we are giving you the best we can on this blog. As this is our last post of the year, we are using this opportunity to give you guys a chance to let us know what you would like to see from us next year. Are there any particular type of reviews you would like? If we started a book club would you participate and how would you like us to conduct it? Via twitter? or comment sections? How often would you like to have it? How can we make our posts more interactive? What would make you more likely to leave a comment? Any personal questions you’d like to know about us? Get to know us as bloggers! Let us know in the comments because we want this blog to be your go-to destination to express your love for books and your feedback will help us build a better community of like minded people. Merry Christmas and Happy Holidays! Hope you guys come back next year for a wonderful year of all things books! 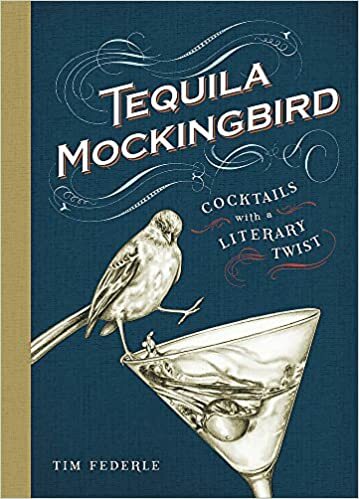 If cocktails are more of their thing hit them up with Tequila Mockingbird: Cocktails with a Literary Twist by Tim Ferdele. Besides the fun title, it is a fun cover. Beautiful journals for the beginning of the year, actual book lover’s journals that lets your loved one record their books and reviews for the year. Personalized pencil and book websites that’ll let you print their favorite book quotes on any item you get. There are book lover’s post it notes, note cards, note pads, calendars. So much you can do in this category. You can’t go wrong with this! Oh and etsy is a huge gold mine for gifts like these, they are a tad bit on the expensive side but on the plus side, you’d be supporting small businesses. The Barack Obama Pete Souza picture book is still one of my favorites and is a throw back. Some people loveeee the smell of old books and libraries and guess what? You can get people candles that smell exactly like that! It’s Christmas so this hymnal book wreath is the perfect early gift for book lover decorating. Really cool book shelves, book coasters, shot glasses and so much more! 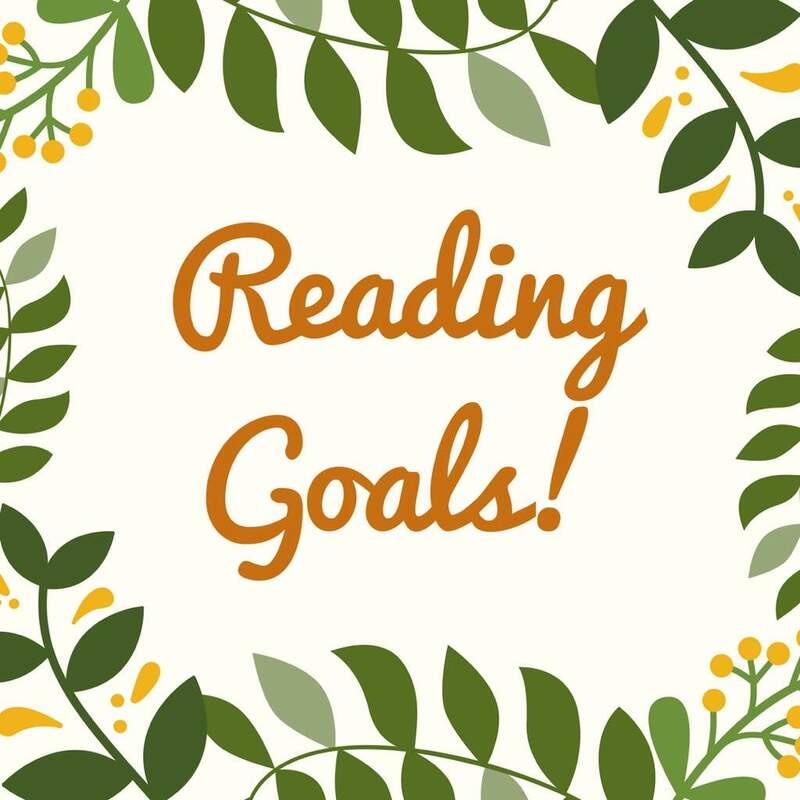 We have so many recommendations on our blog by genres like cozy mysteries, romance novels, fantasy that you can’t go wrong as long as you do your homework. Celebrity memoirs by people you know they like, for example the new Michelle Obama book “Becoming” is currently the best selling book of the year, Gabrielle Union’s “We Are Going to Need More Wine” is still one of my favorite collection of essays. A book about their favorite TV show like Kelsey Miller’s “I’ll Be There For You – the one about Friends”. If you decide to give the gift of Michelle Obama’s “Becoming”, you could go all out and complete it with this journal and candle (below) that will provide inspiration for your loved one. These can be found here. This was a fun post to curate for us and we really hope you find something your loved ones will truly enjoy. Have a lovely holiday season! The Holidays are practically around the corner and in the spirit of thanksgiving, we would like to say thank you to you guys who are kind enough to read and support us by working on a giveaway with The Luxe Candles. Made in the USA with a Nigerian entrepreneur, The Luxe Candles is a line of hand poured scented candles. Made with a blend of paraffin and soy wax it allows for a long lasting, cleaner burn and the quality fragrance oils allows for amazing fragrances. Okay, so about the giveaway. There will be 2 winners and they will be receiving 3 candles each. 2 of them will be the scent of their own choice and the last candle will be the lime-basil-mandarin scented candle inspired by the novel, Long Shot by Kennedy Ryan. Leave a comment on this post letting us know what book you are currently reading. Be sure to also leave the handle you used to follow on instagram, so we know who to contact if you win! The giveaway is open to everyone but you MUST have a U.S mailing address for your candles to be mailed to you. Eazy peezy, right? The winner will be announced on Monday, November 19. Don’t forget to share and tell a friend and feel free to make purchases. Never too early for Christmas shopping! Good luck! Earlier in the year, I told you guys how I was having reader’s misfortune in that, I was just unimpressed with the books I had been reading. My fortune changed and I have now read a few books I liked but now I have encountered the worst of the worst – Reader’s block! There’s two months left in the year and I have no desire to read anything anymore. I am bogged down with reader’s fatigue (I could be misdiagnosing myself). On a regular schedule, I am usually reading a book and listening to an audio book. Now, every time I pick up a book, I want to drop it and read a magazine instead and when I hit play on an audio book, I’d rather be listening to music or one of my many podcasts. I have gone through this in the past and honestly there has not been any quick fire cure to it. I just stop reading till I feel like reading again. I think the difference this time is the blog. I feel like it adds a level of guilt like I should be reading more to have more inspiration for material. Usually when you mention a block to people, they automatically assume the cause is the current material and finding the right book will solve the issue. I know the cause of my block has been life and its interference and it is more of a mental thing especially since I actually like the book I had started when I got struck. My Goodreads challenge number isn’t even high but as it stands I am 4 books behind – wah! That being said, the year is not over and 2 months is a long time so all hope is not lost yet! 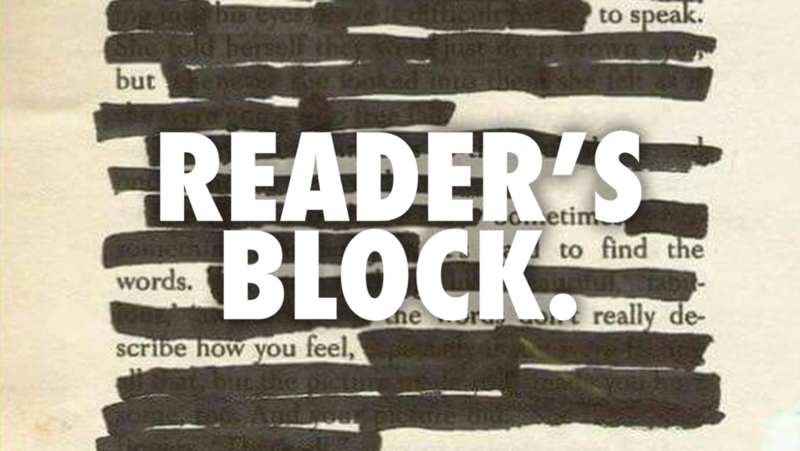 Do you ever face reader’s block? How do you get past the hump?